Atlantic credit unions provide their members with surcharge free access to their money from coast to coast. Our partnerships with THE EXCHANGE® and the ACCULINK® networks provide our members with combined access to over 2,400 surcharge free ATMs across Canada using their ATM, direct payment and credit cards. The ATM Networks webpage contains additional information. Canadian credit union members have always enjoyed surcharge free access to thousands of ATMs across Canada. Now we are joining forces to talk about it cooperatively with the launch of our first national campaign to create awareness of our ding free ATM network. The ding free® Campaign webpage contains additional information. The MEMBER CARD® is accepted at ATMs identified as Cirrus®, Maestro®, ACCULINK®, Interac®, THE EXCHANGE® and ACCEL®. Arrangements are being made to add the ding free logo in the future. 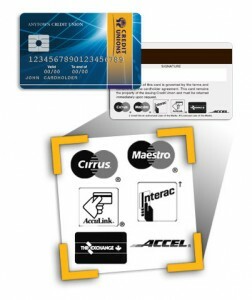 The GLOBAL PAYMENT MasterCards are accepted at ATMs identified as Cirrus®, Maestro®, ACCULINK®, Interac®, and THE EXCHANGE®. Arrangements are being made to add the ding free logo in the future. A surcharge (or convenience fee) is a fee charged by an ATM owner at the time of the transaction and appears on the ATM receipt. A surcharge ranges from $1 to $3, and comes with a warning screen before the ATM transaction is complete. Surcharges are not the same as transaction or account fees, which would appear on a member’s monthly statement – i.e. when a member exceeds the limits of a package account that comes with a fixed amount of free transactions per month.